Before I delve in, and before you develop any expectations, this review is not a technical review at all. In fact, it will just consist of me offering my opinion (based on 6 months of experience shooting mostly orchids with this lens), and showing the odd un-scientific comparison with my favourite wide-angle, the Zeiss Distagon 21mm f2.8 ZE. I guess a lens of such extreme nature was always going to be a challenge to use, but in many ways this lens does exactly what it promises. Its sharp and it focuses bloody close. Lighting was always going to be an issue with this lens, due to how close the lens focuses and therefore shading from the lens itself. Chromatic aberration and flare are fairly well controlled without being class-leading. Build quality is the same. 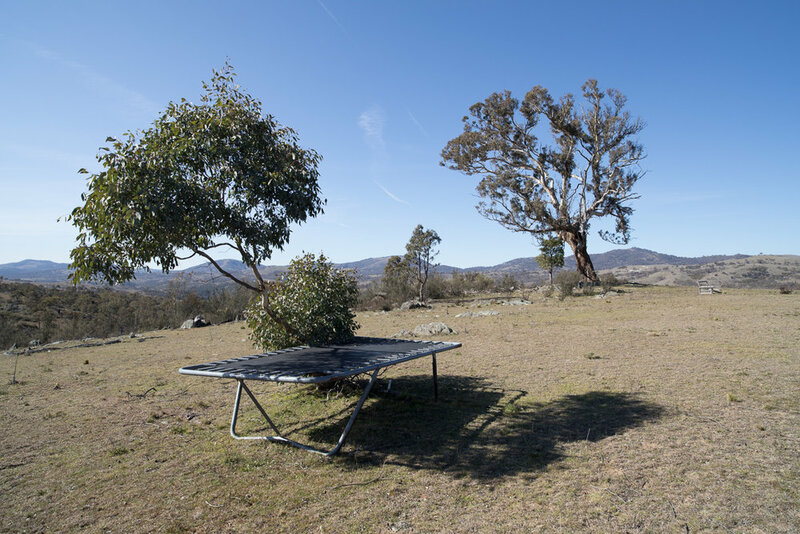 Colours from this lens are unsaturated or muted, with quite low micro-contrast, particularly when compared with the Zeiss 21mm. Bottom line is that this lens successfully fills a niche (the wide-angle macro scene), in a way that no other lens can. Announced in June 2015, the Laowa 15mm was the first, and remains the only, proper macro wide-angle lens for 35mm DSLRs. Venus Optics is a relatively new Chinese company which, as far as I can tell, is made up of a bunch of experts and enthusiasts (including macro photographers) who want to make the lenses that no one else has made yet. The Laowa 15mm is one such lens... a full 1:1 macro, wide-angle lens. Macro lenses are normally 100mm, or 50mm, or 150mm, but personally I've appreciated the need for a macro wide-angle lens for several years now. I've toyed with the idea of putting extension tubes on my existing wide-angles but no one makes extension tubes thin enough to fit on, say, the Zeiss 21mm. A standard 12mm extension tube would make the maximum focusing distance inside the lens, so essentially it wouldn't be able to focus on anything outside the lens. I could, of course, have tried to make my own custom tube, but this would have been hard to do properly without equipment I don't have. So, the Laowa 15mm fills a niche. The Laowa 15mm is physically quite a compact lens, and is relatively light (~410g). Its shorter than either of my other wide-angles (Zeiss 21mm f2.8 or Canon 16-35mm f4 IS). Size is rarely an issue for me, but it does make a nice compact package with the Canon 5D MKIV, my primary camera for this review. The Laowa 15mm f4 macro attached to my Canon 5D MKIV. It has an all metal build which is nice and solid and reassuring. It doesn't feel quite as precisely put together as my Zeiss lenses*, and there is a bit of play in my lens between the front half and the rear, but no problems yet and overall no complaints about build quality. The focusing ring is in the middle of the barrel, and is smooth but a little firm and doesn't have the buttery smooth touch of the Zeiss lenses. *I realise that the comparison between a $500 lens and $1800 lens is not really fair, but I'm going to make it anyway. 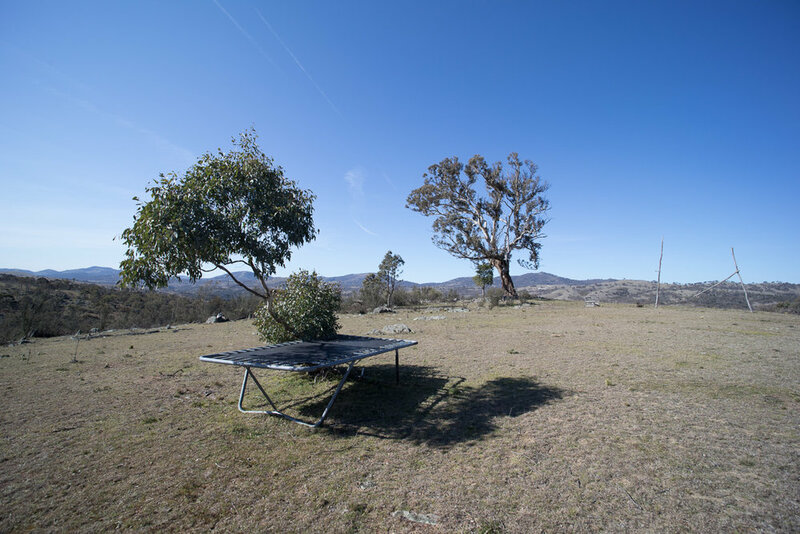 The Zeiss 21mm is in many ways the benchmark wide-angle lens, so I am comparing the Laowa against that benchmark. The Laowa 15mm also has a shift function, operated by that silver metal lever on the side of the lens barrel. However, this feature is recommended for use only on crop (APS-C) cameras and its something I haven't used at all...yet. Its important to note that this lens doesn't have any electronics. Therefore, it has a manual aperture ring (the front ring) which you have to turn to change aperture. (This will be unfamiliar to most Canon shooters as Canon completely banished the mechanical aperture ring many years ago). Furthermore, and perhaps more importantly, no information is transmitted to the camera, so the aperture reads '00'. This can be a little annoying when you go back to an image months later and can't check what aperture you used. I personally shoot this lens almost exclusively using Live View. The viewfinder darkens quite considerably as you close down the aperture, as the aperture is manual, so Live View helps to visualise the scene. I also find that it makes getting the right exposure much easier. This lens is sharp. No complaints here. 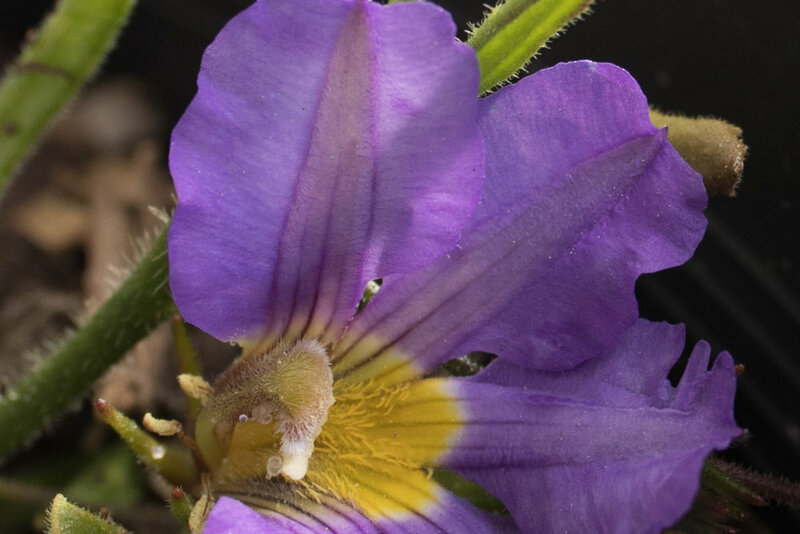 The photo below is a pixel-level crop of one of my Scaevola flowers taken at f5.6 with default settings, out-of-camera-straight-into-Lightroom-with-default-sharpening. Sharpness falls away at the edges and is a tiny bit mushy at the extreme corners on a full frame camera but this is hard to eliminate in wide-angles and overall I don't have any complaints about sharpness. The Laowa 15mm has a very cool and somewhat purple colour cast coming straight out of the camera. The comparison below is straight out of camera, using automatic white balance and without adjustments in Lightroom (using the Adobe standard calibration). I'll admit the Zeiss has a warm style, so perhaps the effect is a little over-emphasised. I wonder whether the cool cast of the Laowa 15mm is because of the bright orange/yellow colour of the front lens elements. 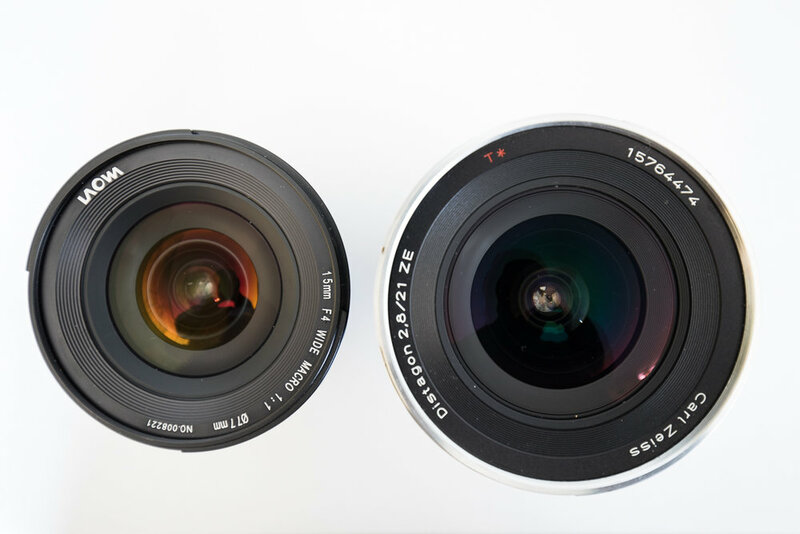 Most lenses are colourless or if anything a little green or blue depending on the angle of light. The Laowa 15mm consistently has an orange tinge to the front lens elements, unlike the Zeiss 21mm which is clearer and a little green or purple. Of course, a little bit of work with the temperature and tint sliders in Lightroom will fix at least most of the colour cast. However, in general I find the colours from the Laowa quite muted, kind of the opposite to the brilliant, saturated colours from the Zeiss lenses. In some situations I've really struggled with the colour rendition of the Laowa, in particular greens and yellows, and I've found that some images can look end up looking 'murky'. I will be the first to admit that this may not be a problem for someone with better Lightroom and Photoshop skills than me. In my opinion, the Zeiss 21mm is a great 'dusk' lens - the high micro-contrast and colour saturation give such vivid images that this lens really excels in cloudy or muted or soft light. Direct, harsh sunlight gives almost too contrasty images. My feeling is that the Laowa 15mm is the opposite - it has low micro-contrast and saturation, and needs the bright sunlight for the images to really shine. As I alluded to above, the micro-contrast in the Laowa 15mm is quite low, especially compared to Zeiss lenses which are the king of micro-contrast. Basically, a lens with low micro-contrast will reduce e.g. black to shades of grey with little differentiation between shades, whereas a lens with high micro-contrast will preserve the blackness of the blacks and will have higher contrast between the different shades of grey. Confused? I'd recommend reading Lloyd Chambers article on it. Micro-contrast is notoriously difficult to demonstrate but I'll give it a go. Returning to the Scaevola, this is again a comparison between the Laowa 15mm and the Zeiss 21mm at f5.6 (both images straight out of camera and through Lightroom using the Adobe standard calibration). 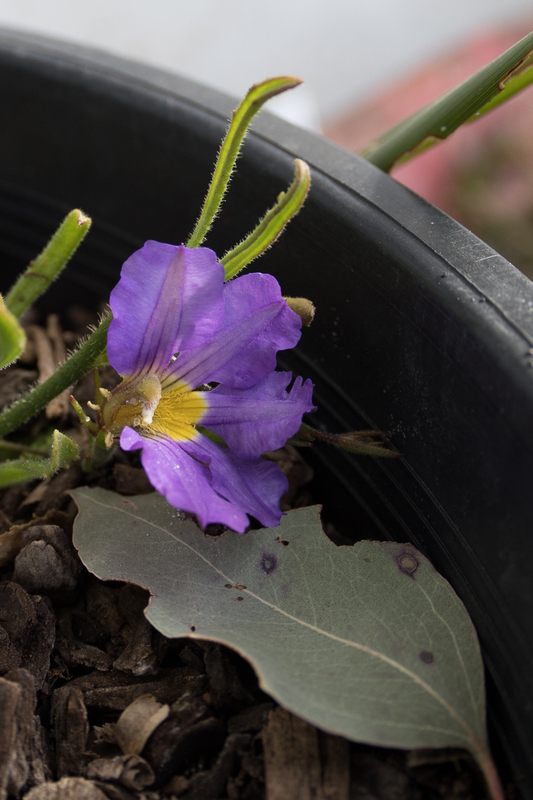 Look at the apparent detail (or contrast) in the shades of purple and yellow on the flower, and in the leaves above the flower. Also note how much deeper the blacks are with the Zeiss lens, and how the colours are more saturated. Low micro-contrast isn't inherently bad per se, its just part of the characteristics of the Laowa 15mm. Another reviewer of this lens came away impressed with the muted colours and low micro-contrast, even comparing it to some film emulsions. I think perhaps because I'm used to the high micro-contrast and saturated rendering styles of Zeiss lenses in general (I have 3 of them) its been a little harder for me to adapt and to make images that make the most of what the Laowa 15mm has to offer. I feel like I've started to get a feel for it in the last month or two, and have got some really unique images that wouldn't be possible with any other lens. This image, of a Parsons Band orchid (Eriochilus cucullatus) on our property was taken in soft light nearing sunset and I just couldn't get the colours to look nice and vivid as I remembered them. It looks a little mushy and a little murky. 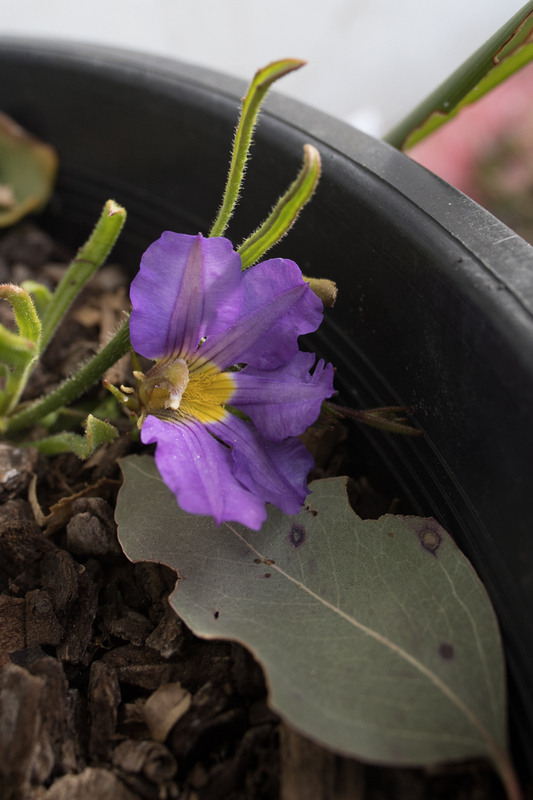 It probably doesn't help that this was shot ~f25 or f32, as micro-contrast declines anyway with smaller apertures. Bokeh is not usually a major feature of wide-angle lenses, but given how close the Laowa 15mm can focus, it definitely is. The bokeh of the Laowa 15mm is very smooth, helped by a 14-blade aperture. Perhaps even too smooth, as in some cases it looses detail in the background and it becomes mushy. The Zeiss 21mm somehow manages to be at once smooth yet retain definition in the background which isn't distracting. I guess maybe this comes back to the micro-contrast. The smoothness of the bokeh is impressive, even here with a subject not too close to the camera (the model is a Pterostylis curta flower, one of the many species of greenhood I have in cultivation). Laowa 15mm @ f4. Chromatic aberration on this lens is fairly well controlled without being class-leading. Likewise, flair is fairly well controlled, although when the sun is in the frame it does have a tendency to produce bright orange flares and some veiling flare. However, very few, if any, wide-angles perform perfectly in these conditions and the Laowa 15mm doesn't have a major weakness in either area. The wide-angle torture test, as performed by the Laowa 15mm macro. One thought on this, and it isn't really chromatic aberration, but I have noticed that when shooting something, say an orchid, with out-of-focus trees in the background against blue sky, the edges branches/leaves adjacent to the sky can be rendered quite a dark blue relative to the surrounding sky. All lenses do this to a certain extent but the Laowa seems to do it a little more than others and in some cases it can be somewhat distracting. As I mentioned at the top, lighting is a serious concern with this lens, particularly if you are shooting at high magnifications when shading from the lens is almost inevitable. There are ways around this, although I haven't gone in to them much here. One way is to shoot backlit subjects, in other words to shoot directly (or almost directly) into the sun. This only works well with certain types of subjects and scenes, but can be used to good effect (see below the Thelymitra antennifera and Banksia ericifolia images). The alternative of course is to use artificial light. I have briefly played around with using two video lights held on either side of the lens and pointing toward the subject, which works if the subject is close but not too close. There are DIY ways of addressing this as well. So, am I happy with the lens? Definitely, especially considering the price (500USD). Like I said at the start, this lens does what it says it will and it does it well. There are no major weakness that stand out to me, apart from the low saturation/micro-contrast (and this may or may not be a big deal depending on your style and subject matter). This lens isn't going to steal the crown of my favourite lens to use (Zeiss 21mm f2.8) or my most versatile landscape lens (Canon 16-35mm f4 IS), but it is the only one that can fill the macro wide-angle niche, and for that reason its a winner in my books. As I've used the lens more over the last year or so, I would add that vignetting and distortion are small problems (distortion is moderate, not bad, but can't be automatically corrected as there is no lens profile in Adobe Lightroom). I would also like to add that the image quality noticeably deteriorates in the extreme corners of the image, which is not a problem unless you have important subject matter right to the corners. I've added some more example photos below. 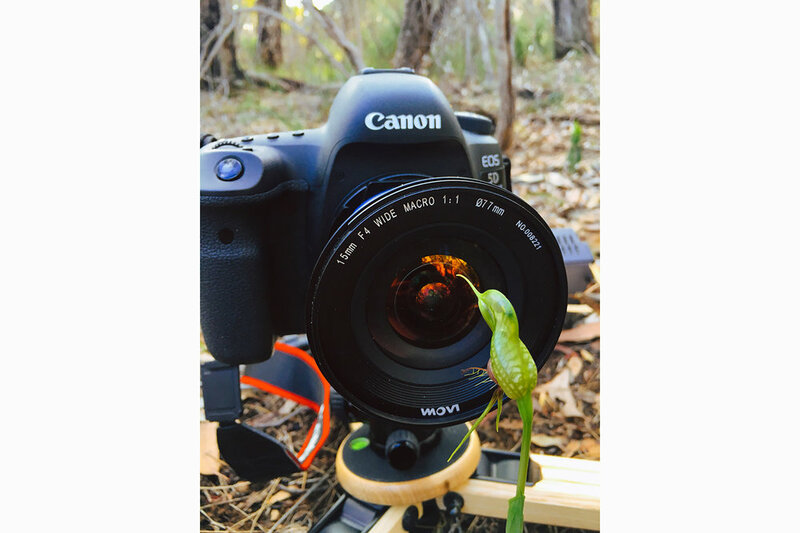 Below are a few examples of what kind of shots are possible with the Laowa 15mm macro. 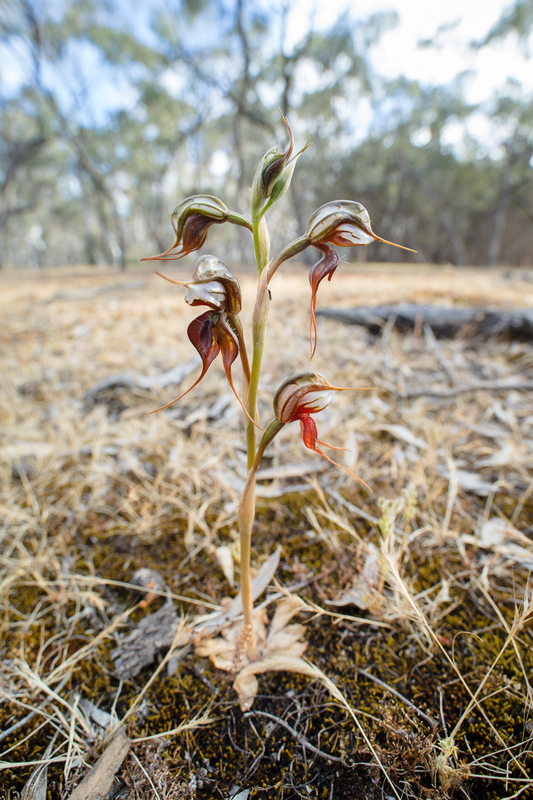 The frog greenhood, Pterostylis sargentii, lives in gorgeous wandoo woodland in the wheatbelt of Western Australia. The beautiful, bright yellow Lemon Scented Sun orchid (Thelymitra antennifera) is often found growing in moss on granite rock shelves. 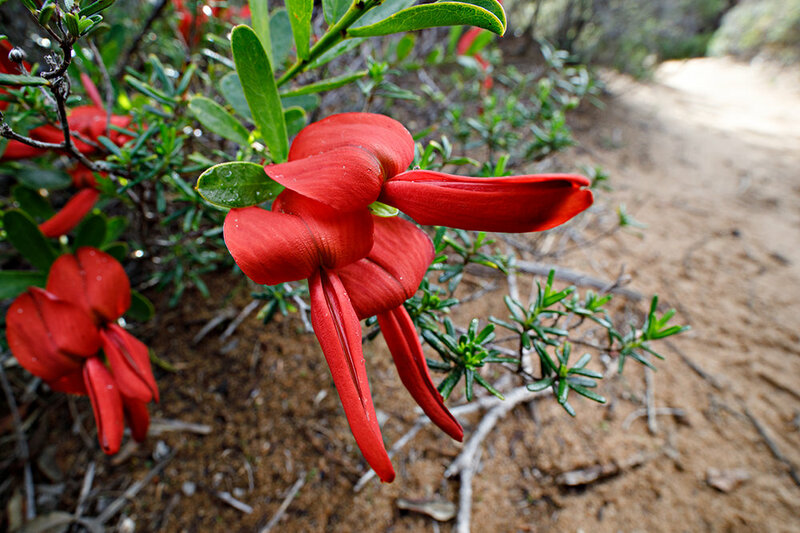 The big and showy Templetonia flowers, a member of the pea family, are apparently better known as cocky's tongues. A little colony of nodding greenhoods, Pterostylis nutans, growing here on a granite boulder in a secluded valley in the Blue Mountains. This is one of those images where I wished for a bit more micro-contrast and saturation. 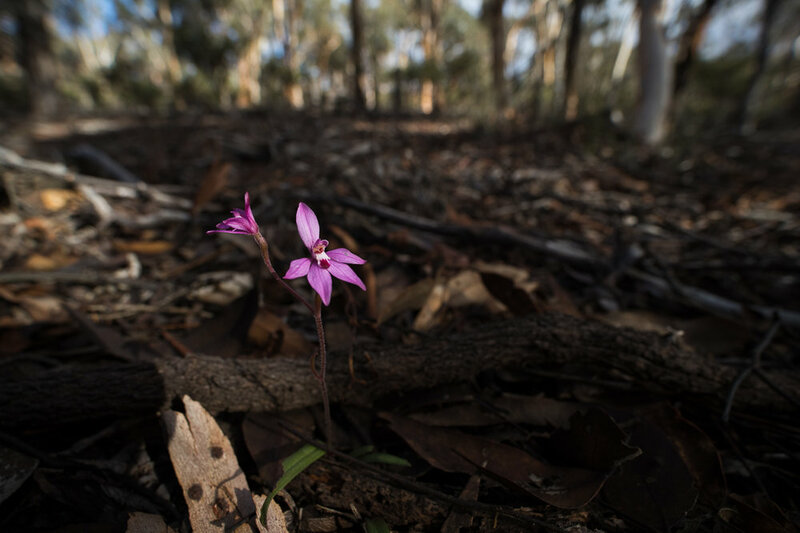 The delightfully pink, and tiny, Little Pink Fairies (Caladenia reptans). 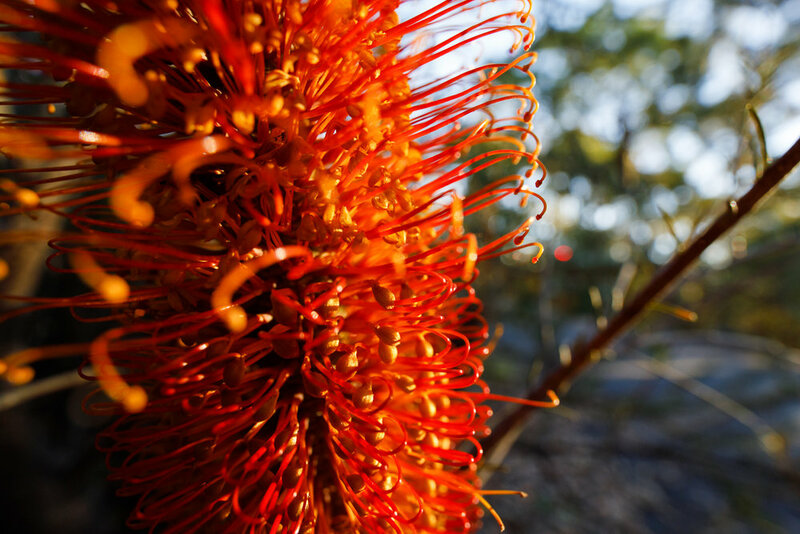 A Banksia ericifolia candle up close. This kind of photo is just not possible with any other lens. 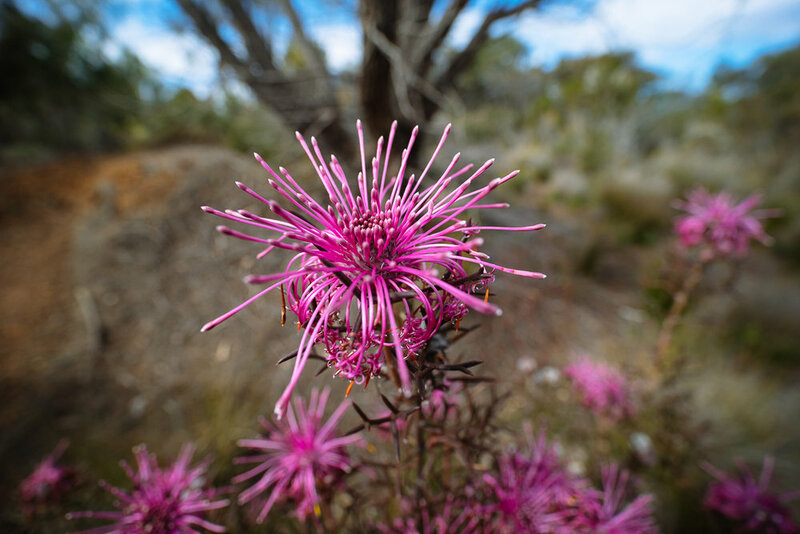 A stunning Isopogon sp. from Western Australia near Albany. The Floodplain Rustyhood orchid, Pterostylis cheraphila. This is the only known plant of the yellow hyacinth orchid, Dipodium hamiltonianum, in the ACT. 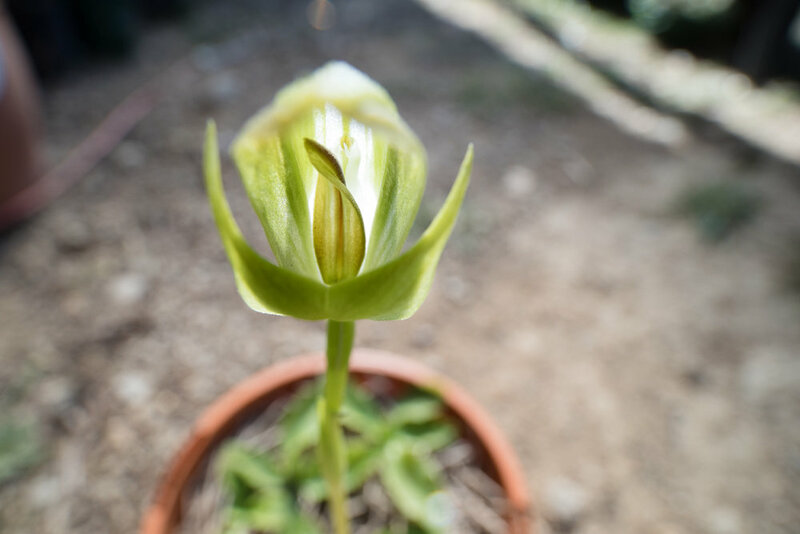 The magnificent Pterostylis banksii greenhood orchid from New Zealand. A garden of Pleurophyllum hookeri megaherb daisies on sub-Antarctic Campbell Island.